Planning transport movements for large conferences or small meetings can prove a daunting task. Delegates originating from all points around the UK requiring transport of differing types to one or more venues, onward transfer to Hotels and interim transfers between Hotel and venue usually form part of the conference plan along with airport and rail station transfers. Showpax can handle all of this for you, providing one point of contact for operational matters and single point invoicing when the job is completed. Effective planning and successful execution is dependent on high quality and innovative IT that works first time, every time. 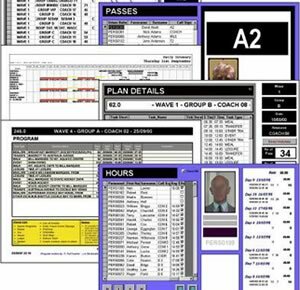 Using bespoke software, we require from you only a list of delegate postcodes and the travel criteria you wish to apply, for us to compile a full transport programme including pick up points, timings, routes and on board catering and presentation arrangements. Our operational planners will attend planning meetings as required, and ensure that the transport programme slots smoothly into the overall event plan.